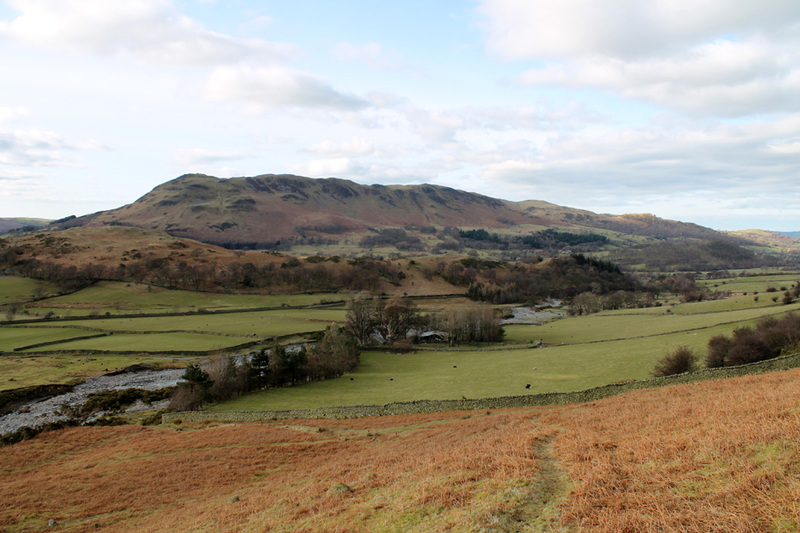 " Whiteside in the afternoon "
Date & start time: Sunday 28th February 2016, 2.20 pm start. 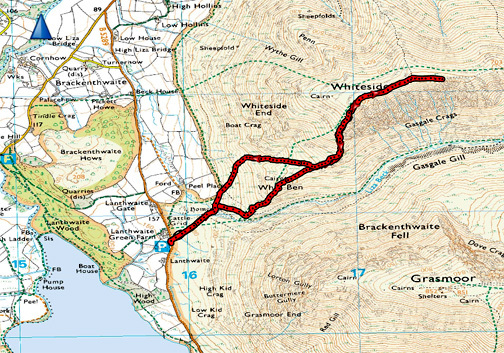 Places visited : Lanthwaite, Gasgale Gill bridge, Whin Ben, Whiteside and back. Walk details : 3.3 mls, 2000 feet of ascent, 1 hour 45 mins. Walked with : Myself and Dylan the younger dog. Weather : More overcast than earlier but still fine. A few jobs done, lunch enjoyed at home and there was still enough nice weather to take Dylan for a longer afternoon walk. 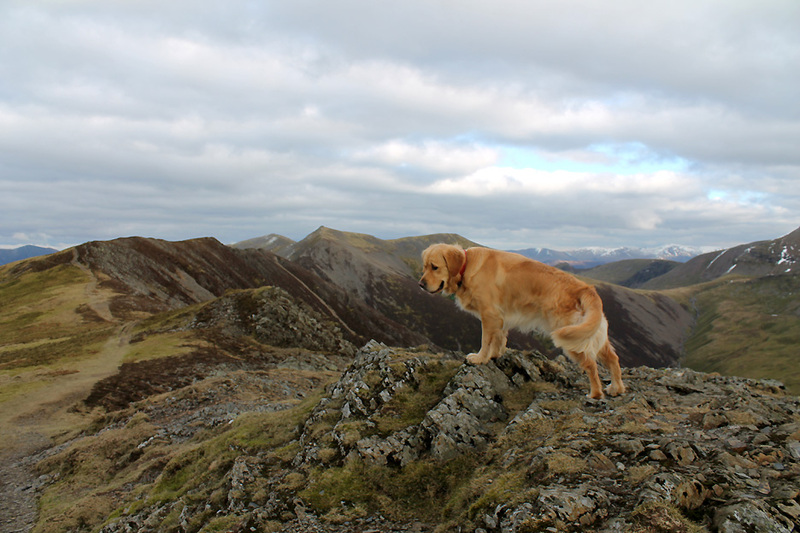 Leaving Harry to sleep off his lunch, Dylan and I did a short out-and-back trek, Whiteside via Whin Ben. 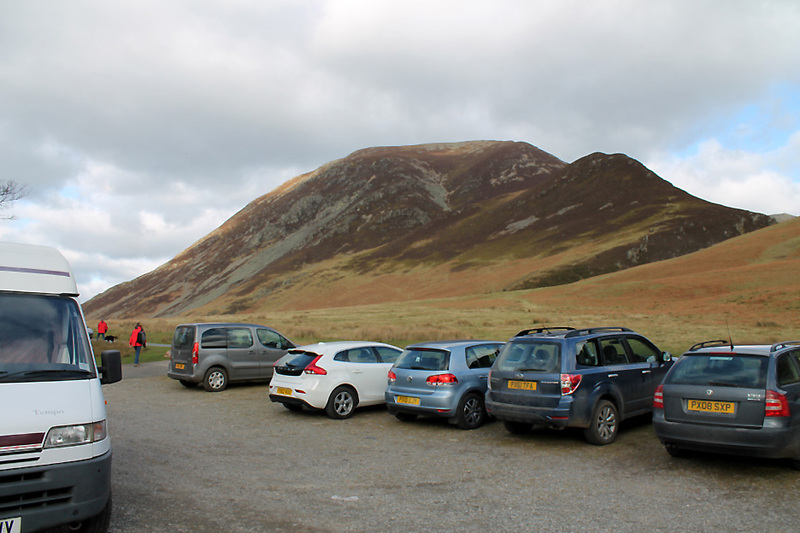 A busy car park at Lanthwaite Green this Sunday afternoon. The view across the way sums up our walk . 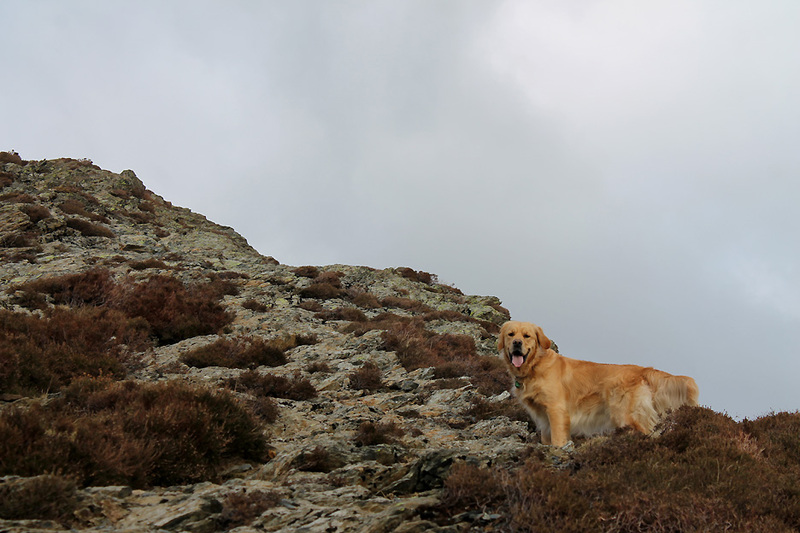 . . just the climb and descent to work off a bit of (canine) energy. Overcast skies but with sufficient breaks to let the sun through. 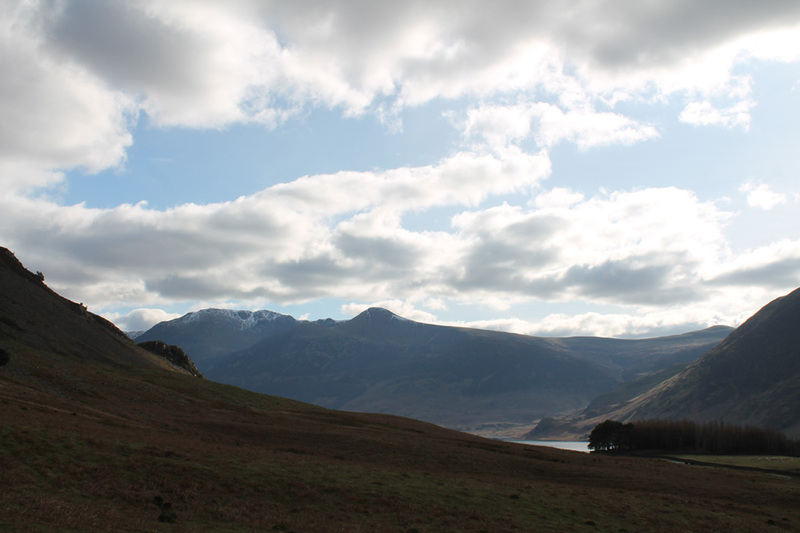 It has clouded over since the beautiful weather at the head of Buttermere this morning. The dry weather and sunshine has reduced the snow cover on High Stile and Red Pike. 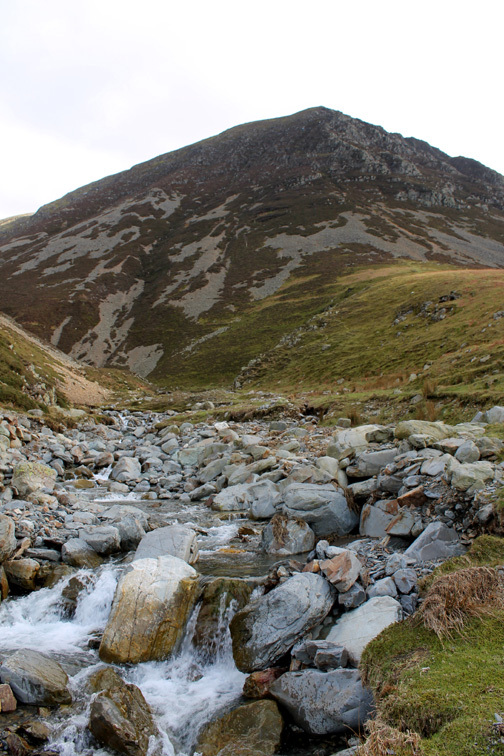 Gasgale Gill in good flow, rain plus melt water. Over the "new" bridge . 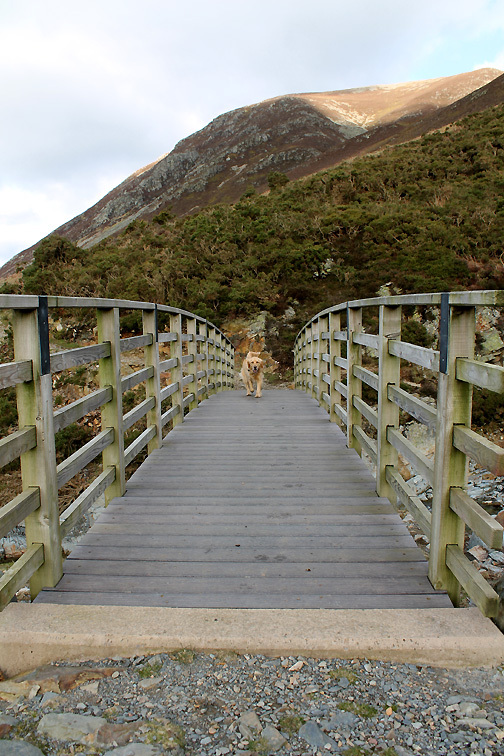 . . Dylan waits for me to catch up. 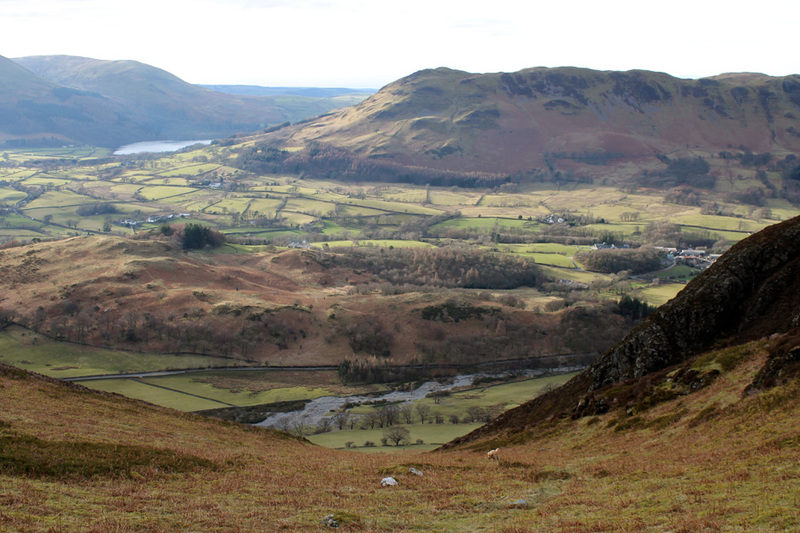 Low Fell and Fellbarrow on the opposite side of the Lorton Valley. 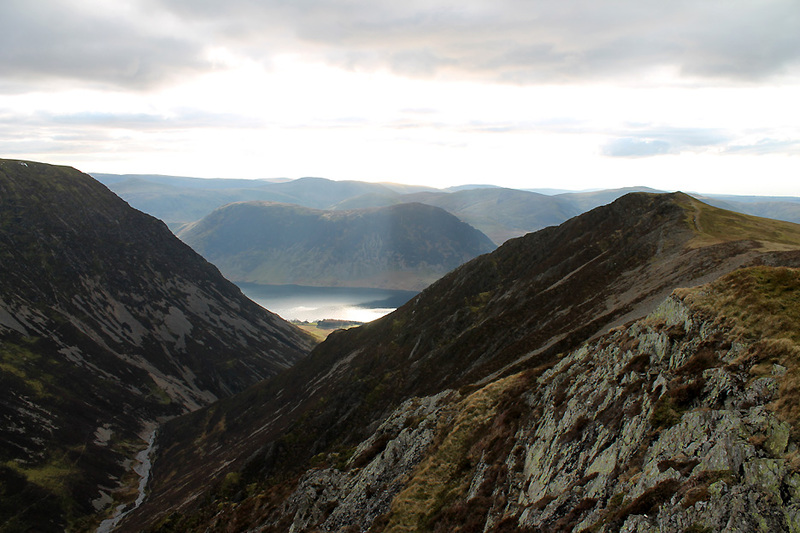 There are three slightly rocky climbs up to the summit, the first being the final part of the ascent up to Whin Ben. 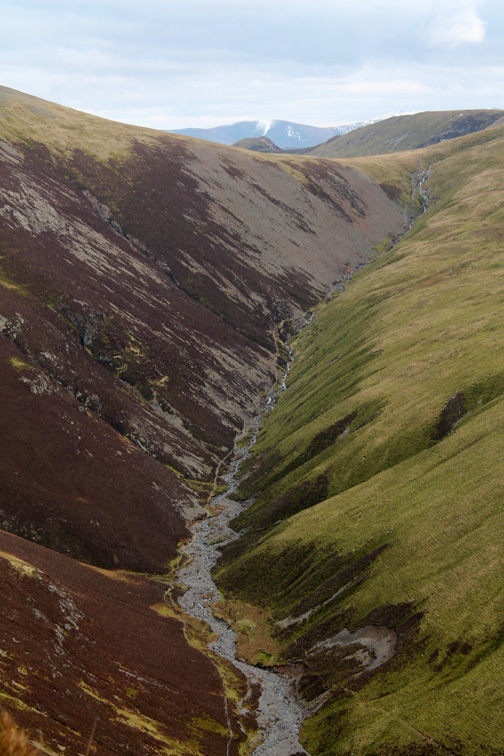 and the curved shape of the top end of the Gasgale Gill Valley. To my left the visibility allow distant and clear views of individual fields on the Scottish coast. 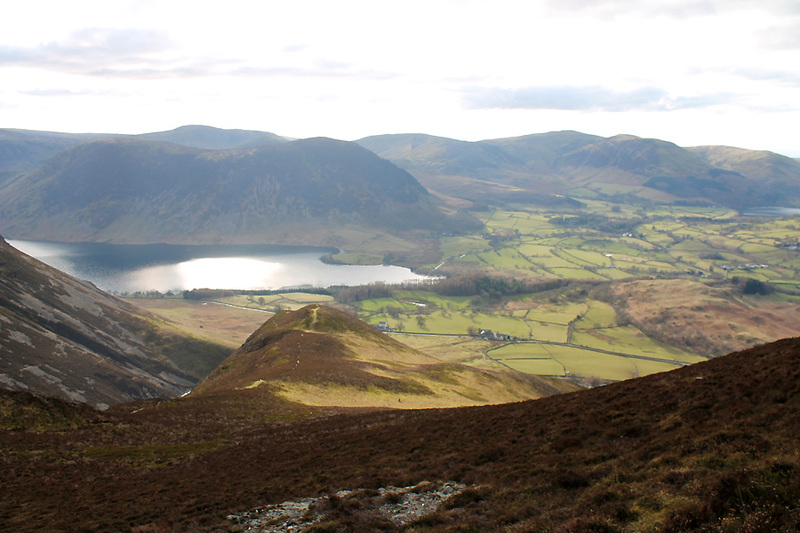 Climbing now above Whin Ben, the sun reflecting on Crummock Water far below. The second step . . . another rocky section on the way to the top. 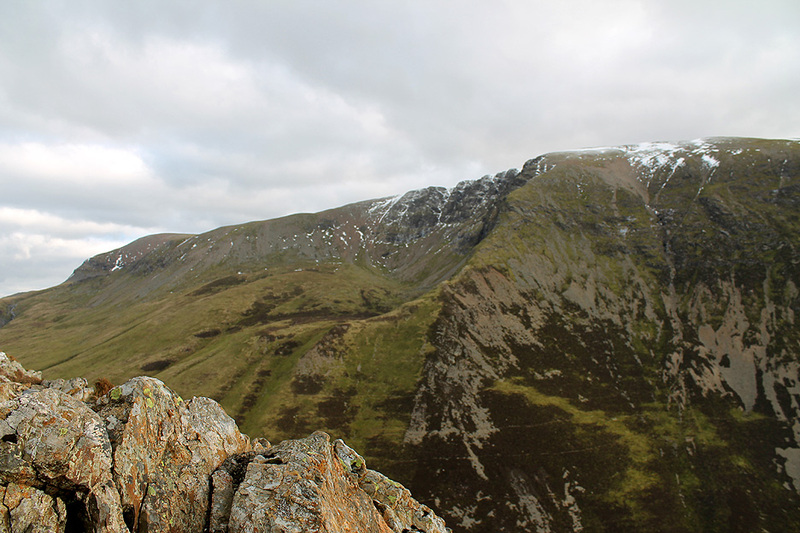 You can now see into the dry comb below Grasmoor's Dove Crags. 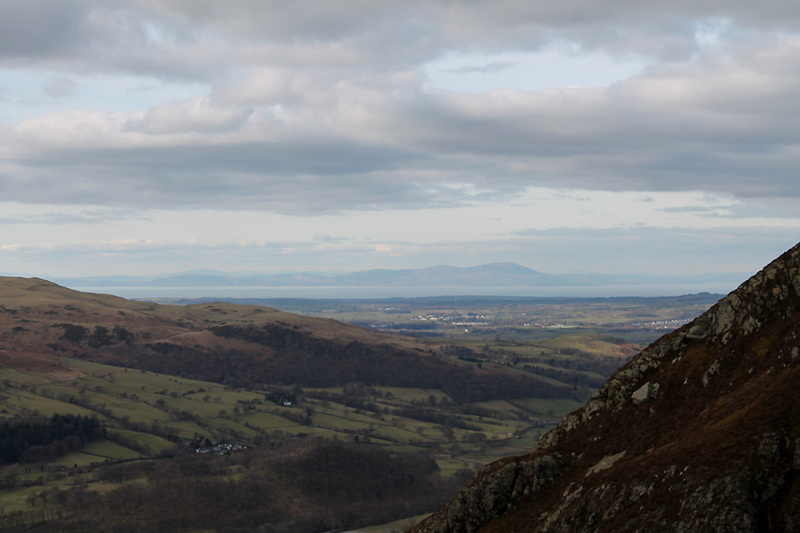 Very different snow conditions from my walk just two weeks ago with my daughter up there on the summit. 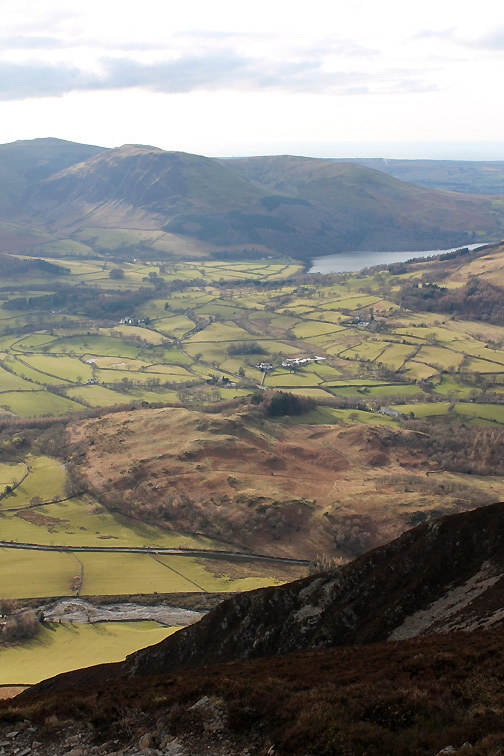 Looking down on Loweswater as I paused for a breather ! Over the opposite edge . 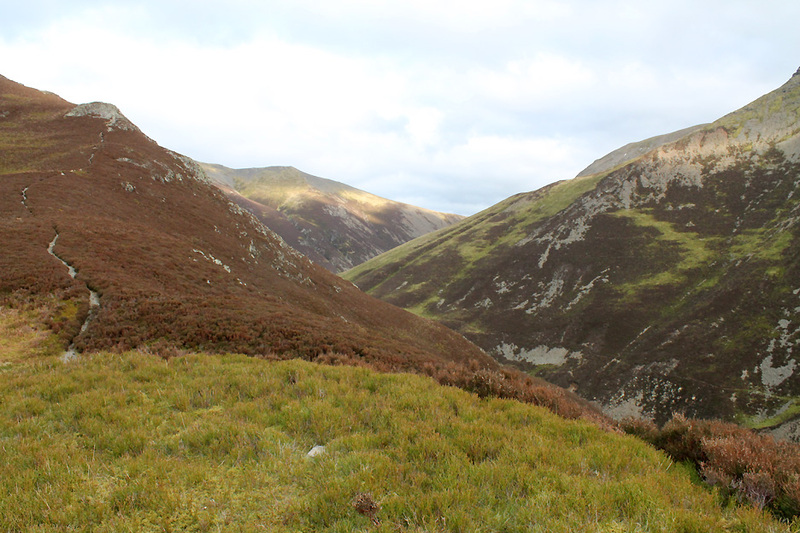 . . the view up towards Coledale Hause. The third steep, rocky section ahead . . . we're nearly there ! 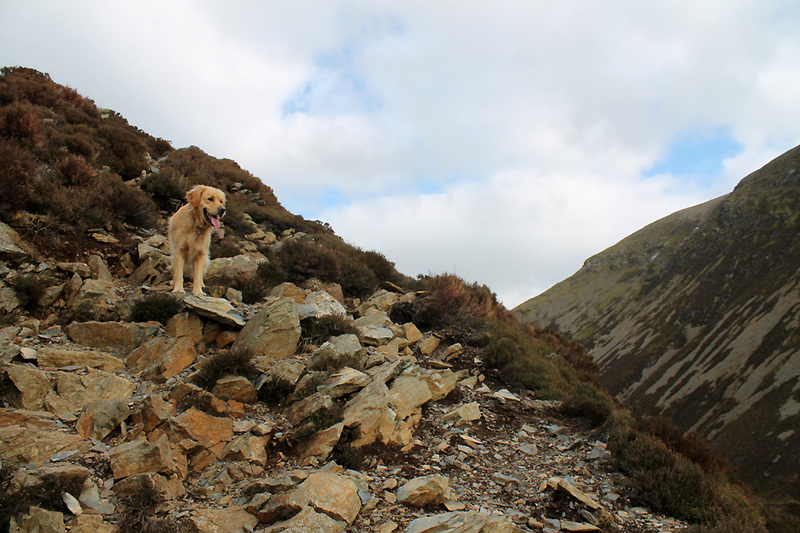 Summiting out without even puffing for breath (the dog that is !). I take a moment to enjoy the view on your behalf. After the exercise of the steady climb we have the chance of a little gentle relaxation . 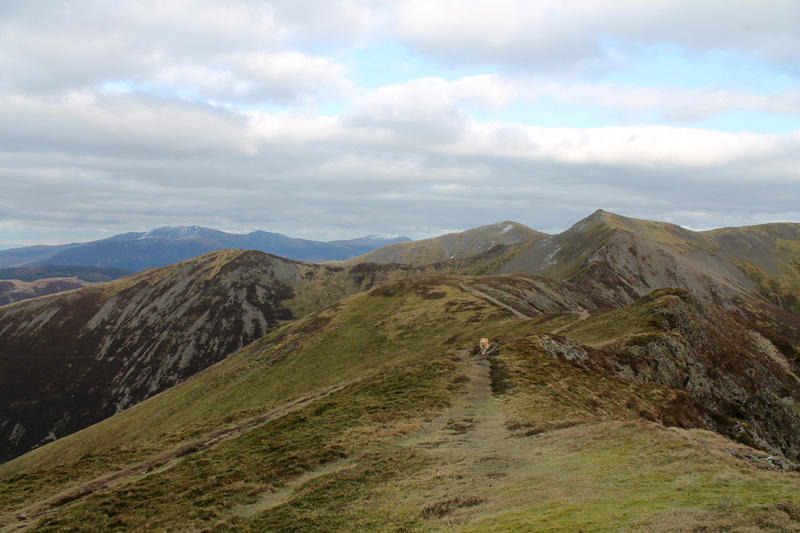 . .
by walking to the intermediate summit on the Whiteside Ridge. 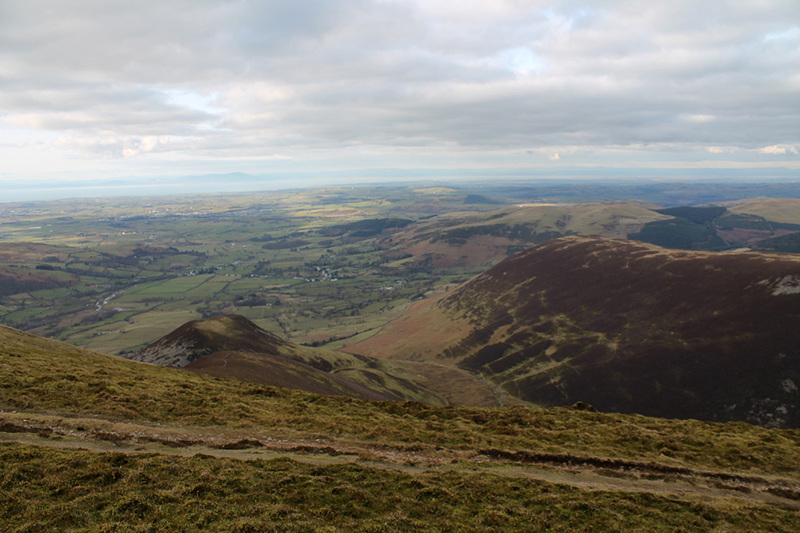 Looking down the Hopegill Valley to Lorton, Cockermouth and the northern Solway Plain. 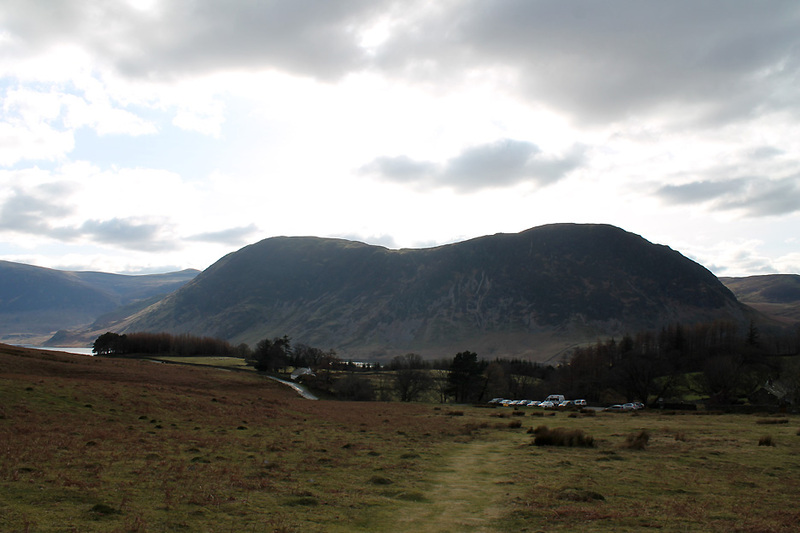 The sunlight on Crummock catches the eye as I turn for the walk back. and a lot less potential for slipping than on the occasional stoney sections of the upward path. Down in good time . 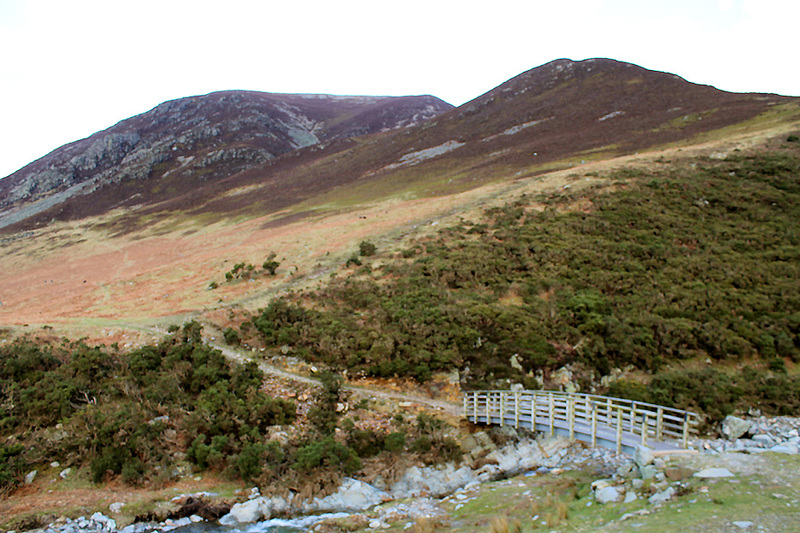 . . my route being the diagonal path down through the dead bracken on the left of the picture. I was really surprised at how far out the marked path actually was. Check out the map at the top of this page. If you are using the O.S. 1:25k remember that the lighter black dotted lines are often more accurate than the prominent green ones. This site best viewed with . . . time to get home and set off to meet Ann's train at Penrith without having to rush.